Watanabe in action against Stanford. 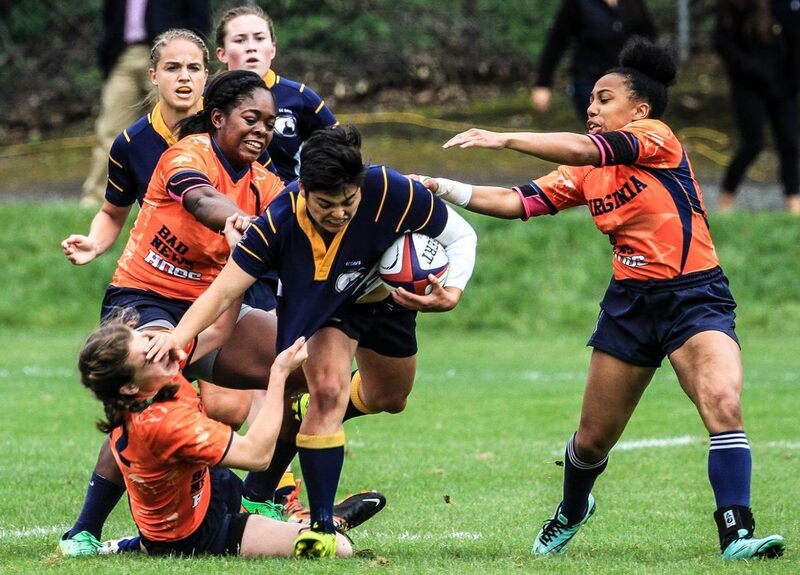 In a women’s college rugby environment where varsity programs are spring up all over, UC Davis is a national power paddling against the tide, and heaving the biggest paddle may well be Sydnee Watanabe. The Aggie center threequarter is a Sorensen Award finalist for the top women’s college rugby player, and she has made it to the final four because she is a luminary on a team that is run by students. Davis won the second-tier DI final last spring against Virginia, scoring a try with time up on the clock to win 30-25. Watanabe wasn’t the hero then, Eric Hipp was, and Watanabe said she was just happy to see someone end a grueling game. The UC Davis captain this year, Watanabe has added responsibilities, and she takes those on with gusto. Watanabe started playing rugby her sophomore year in college. She got a flyer on campus and decided to give it a shot. Watanabe is a Civil Engineering major. That major doesn’t leave for a lot of free time, and when she’s not in class, studying, or playing rugby, she also works as a mechanic for the campus bus service. Free time? She can worry about that later. And it’s not just playing rugby, it’s running the club. The UC Davis women’s team is a student-run club, and will remain that way. To become a Sorensen finalist, it takes a lot, and for a player from a club team, maybe it takes a little bit more.